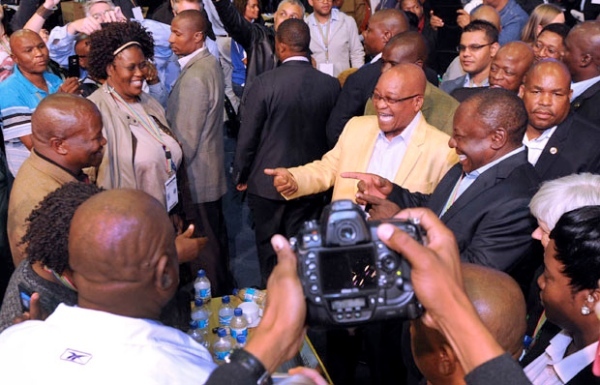 The African National Congress (ANC) is set to retain majority power in South Africa after the recently concluded elections. To those only observing passively from afar, this comes as a real surprise given the almost daily revelations in the media of misspending or corrupt behaviour on the part of ANC officials. Such behaviour was epitomized in a recent report by South Africa’s Public Protector, which noted that President Jacob Zuma had unduly benefited from security upgrades made to his personal estate called Nklandla. 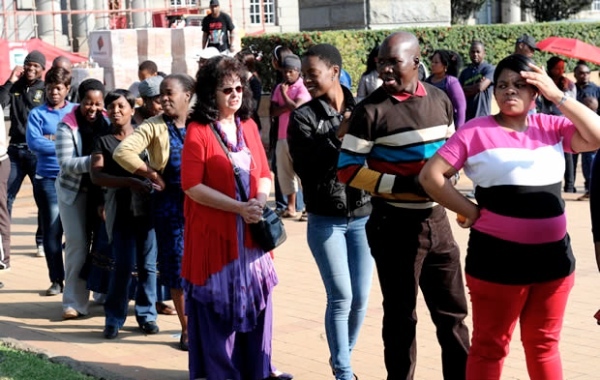 The Public Protector noted that such things as a swimming pool, Amphitheatre, and cattle kraal did not maintain any real security requirement and should not have been paid for with public money. She went even further and called on the President to pay back the cost for those aspects. This revelation inspired a real outcry in the media and gave the impression that the South African public was growing restless with a government that has been in power now for 20 years. But the election results have not lived up to this and demonstrate how entrenched Nelson Mandela’s party is in the imagination of many South Africans. Indeed, the ANC’s campaign slogan for this election was “We have a good story to tell.” And by and large that seems to have resonated with many South Africans who can well remember what it was like before the ANC came to power in 1994. That said, concerns over corruption and a lagging economy of eroded support for the ANC in recent years and this election does show a decreased level of voter interest in Africa’s oldest liberation organisation. Opposition parties like the Democratic Alliance (DA) and the newly minted Economic Freedom Fighters movement have seen their support rise, giving them greater clout in national and provincial legislatures. The DA has held on to its provincial control in the Western Cape, home of Cape Town and made a good showing in Gauteng, home of Johannesburg, pushing the ANC support below the 55% level for the first time since 1994. But ultimately, what this election result speaks to is how powerful the narrative of the ANC as the liberation party, holds. For a long time, Nelson Mandela was the icon of a struggle to free South Africa from the evil Apartheid system. His recent passing is still fresh in the minds of many and the ANC did adopt a “Do it for Madiba” slogan. But arguably his persona had only a marginal influence in this election. Rather what seems to be the resonating narrative was one of history and the connection of the ANC to South Africa’s continued progress. The ANC crafted an effective image of a party that has achieved a lot in the last 20 years but still has much to do, particularly, economically. And here, there is much to do. South Africa’s economic growth over the past few years has been declining. Issues associated with the mining sector, service delivery and corruption have all been cited as critical issues facing South Africa’s economy but are not the only determining issues for future growth. Certainly, the ANC government will need to tackle these problems but with their re-election much focus will turn to the National Development Plan (NDP), as the way forward for economic development. The NDP has received wide spread support from most sectors in the South African economy for its centrist economic vision, with the exception of the unions. With the convincing re-election at national and provincial levels, the ANC will be able to roll out the plan, despite union objections, and focus on the key pillars of greater research and development, education, and manufacturing as a means to create more jobs. The NDP speaks directly to the legacy of Mandela’s ANC. To empower and refashion South Africa into a true non-racial and economically equitable country without rocking investor confidence. The NDP, on paper, looks to be a step in the right direction. The question remains in terms of how this translates and the capacity of the current ANC leadership not to squander potential gains going forward. In terms of foreign economic policy, little is expected to change with President Zuma continuing to focus on opening up trade and investment markets to South African enterprise. Clearly, shoring up foreign direct investment is still an important element in South African economic growth intentions, and the ANC government will likely look more towards the BRIC (Brazil, Russia, India, and China) nations as sources for new capital and investment opportunities in moving this agenda forward. Regionally, South Africa will continue in its efforts to be influential in African affairs through the provision of finance and investment. Despite recently being displaced as the largest economy on the continent, South African banks, industry, and services sectors still are big players in continental economic development. All in all, the election has sent a strong signal that South Africans are not ready to change the path that they are on, just yet. The spirit of Mandela’s ANC continues to hold the hearts and minds of most South Africans. But unless real change occurs in how the leadership deals with some of the pressing economic and social problems, the seeds of change becoming evident in this election, might just take root. Dr. David J Hornsby is a Senior Lecturer in International Relations and Assistant Dean of Humanities, University of the Witwatersrand in Johannesburg. David’s research interests include International Political Economy, the politics of science and risk in the multilateral trading system.